How voucher system can improve Nepalese Education? With the recent conflict of the private educational institutions and the government, the age-old battle between the two has begun once again. The newly declared “Education Tax” that was levied at 5% on private schools lit the spark of controversy this time. Though the ensuing conflict has been resolved for now, both the parties have been left alienated and rumors of nationalization of the private education institutions are rife, which is likely to cause further conflict in future as well and further deteriorate the already pathetic education level. Right to education has been considered as a fundamental right in our constitutions. Our government has been spending huge amounts of funds and has tried various ways to ensure that every citizen receive the right education. But still, our educational system is bogged down by the traditional and unscientific approach. The poor performing public schools haven't helped to alleviate this scenario. So what exactly is wrong with our public schools? To understand this, we need to look at the two different ways these two systems are operating. The government run schools get their funds from the government and are accountable to the government itself. They are in no ways accountable to the students, who are directly affected by the service provided and there isn't any incentive system designed to make these schools responsible and accountable towards the students. The performance of such schools isn't linked with the funding and accountability linked to its primary stakeholders, that's why irregularity of teachers, lack of proper use of resources, lack of performance appraisal system, lack of responsibility, lack of competitiveness, lack of innovation are the major problems ailing these schools and the concern of parents or students over the poor performance is of no avail. On the other hand, private schools generate their funds from students and are accountable to the students and their parents. The performance of a school is a strong determinant of the amount of profit or revenue it makes. If a school doesn't perform well or lives up to the expectations of the parents, the parents can choose to move elsewhere. This freedom of choice on the part of parents makes private schools perform better than public schools. Their funding is directly linked with their performance. No matter, how badly people may criticize private schools for being expensive and profit oriented, no person has ever moved their children to the state-run schools despite of having the choice to do so. Therefore, if we analyze it clearly, state's policy of funding the schools not the students which has limited choice among students is the primary culprit of poor performance of state-run schools. Nationalization of schools would not only further degrade the quality of education but destroy the whole educational system infiltrating it with politics and vested interests of the decision makers. An education voucher also known as school voucher is a certificate issued by the government which the parents can use to pay for the education of their children at the school of their choice. The voucher may cover the full or partial cost of the education. The voucher is usually non-transferable and hence cannot be used by another person or for any other purpose other than education. Under the system, the government issues education vouchers to the students which they submit to the school they want to study. The schools then deposit them in their bank accounts and the banks then credit the school accounts by equivalent money while debiting the account of the government. No money actually changes hands, only the voucher moves from the student to the school, and back to the government. School vouchers provide the students with the ability to choose among schools. They can choose the schools. If a school fails to meet the expectations of the students or the parents, they can move to a better school with their voucher. The voucher system would transform the apathetic schools to competitors vying for competition, eager to please their consumers with quality service. The institutions are forced to operate at higher efficiencies when they are allowed to compete and any loss of supply and demand for public institutions would be offset and equalized by the increased demand for private institutions. The voucher system not only increases choice for students, it also promotes equality of opportunity to all students regardless of their age, caste or creed, which would help in creating the inclusive New Nepal we are talking about. Implementation of the voucher system would not only promote quality education but also improve the public opinion of public schools with their increased efficiency. Besides, these voucher system also provides incentives for the schools to increase the student enrollment and improve quality to retain the number of students since the funding of the schools directly depends on the number of students they serve. Competition between schools, will lead to increased school accountability. And, increased school accountability, in turn, will encourage individual schools to experiment with different educational approaches in order to find those that work best for the students they serve. Voucher system brings win-win outcomes as government school students who get a voucher are able to change schools and do better for them. Evidence suggests that even those students who stay in government schools also perform better. First, the student-teacher ratio improves and second, schools become more attentive to stop student numbers from going down further. All students achieve better learning outcomes. Low school enrollment is another major problem our country is facing. Some eight percent children belonging to school-going age are currently staying away from schools in Nepal, according to DoE. 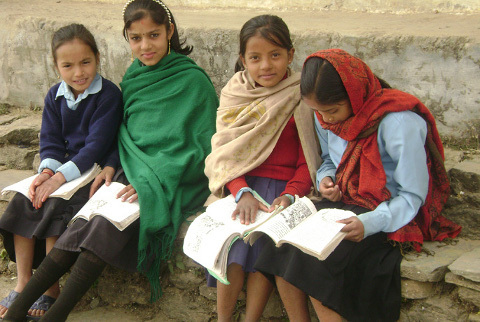 Of the total children enrolled in schools, some 12 percent children drop out their studies. The government has been organizing campaigns to increase the enrollment rate for more than five years in order to meet one of the Millennium Development Goals. i.e. Education for All. The campaigns have been moderately successful but haven’t been able to achieve satisfactory results. Implementation of the voucher system would help in achieving this goal since voucher system provides incentives for the schools to organize similar campaigns themselves. The schools would spontaneously work towards increasing enrollment rate. Evidences have shown that voucher system increases school enrollment rate significantly. Chile saw an increase of 30% in school enrollment rate with the introduction of the system. Similarly countries like Colombia, Czech Republic, and Italy also saw increase in enrollment rates. Voucher system would surely help in increasing enrollment rates and reducing the drop-out rates in our country. Education is one of the most pre-requisite for fulfilling the Utopian dream of New Nepal and the education system should be able to cater to the needs of all the citizens of the country regardless of their caste, origins, and regions. Government’s recent decision to impose tax on private schools had been on the pretext of providing free education to children from backward regions, Dalits and Madhesi community. Implementation of voucher system would help the government in this cause without alienating the private schools. As it’s clear that even if the government raises the so called education service tax all it can provide the target children with schools but not with the education. Voucher system would help to break the barriers that prevent the children from above mentioned communities from going to school. Evidences have even suggested that students from marginalized communities benefit more from the voucher system by empowering them and making them feel confident and competent to their advantaged classmates. Like every sound idea, voucher system isn’t free from criticisms and most of the criticisms of the voucher system are ideological rather than practical considerations. Voucher system having its origins to free market capitalism is very prone to hostility from political leaders opposed to free markets and liberalism. Policy makers and state officials who have their interest safe guarded in the status qua would be very reluctant to listen to the arguments of voucher system let alone the implementation of such policy. Parties inclined to socialism would find the idea of promoting competition to improve education might find the idea against their ideologies. Moreover, such a system would meet very hostile opposition from the parties benefiting from the present educational system. Education officials, government school teachers, labor unions of educational institutions are found to be vehemently opposing the education voucher system which seems natural as they are the only people who are being benefited from the current educational system and are likely to have adverse effects on their interest with the proposed new educational system. Implementing the voucher system is the best possible way of improving the Nepalese education system. Education vouchers are the answer for the current ineffective and inefficient Nepalese education system especially the public education system which seeks to improve these institutions through the discipline of market. Education vouchers will remove the burden of providing education from the government, increase efficiency and accountability of the educational institutions, promote innovation through competition, bring down the cost of education children with more efficient use of resources, increase school enrollment rates to achieve one of the millennium development goals by creating incentives for schools to enroll more children, create a more inclusive Nepalese society by removing barriers for children of certain communities to go to school, promote freedom of choice among students and moreover empower the low-income students to receive education and thereby building an effective educational system for the free and prosperous New Nepal. In a country like Nepal, where majority of population lives under the poverty line, education vouchers would come as a boon for the population under the poverty line as poor people are the only people who are trapped in the schools that don’t work for them and can’t afford to move to the schools that meet their expectations. A strong political will, genuine concern for future of Nepal and a positive attitude towards free markets and freedom of choice are the necessary pre-requisites for implementing the education voucher system and thereby creating an educated and prosperous Nepal. Elacqua, Gregory. “Enrollment Practices in Response to Vouchers: Evidence from Chile.” National Center for the Study of Privatization in Education (NCSPE). (2006) 7. Diary of just another Saturday!